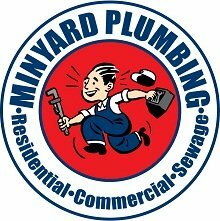 If you need a new faucet, call us at Minyard Plumbing in Hickory, NC for information about faucet installation. Faucet Installation in Hickory – If you have a leaky faucet in your home, did you know you might be wasting up to 34 gallons of water every year? You can save water and money by fixing or replacing any leaky faucets in your home. It may be as easy as tightening a few screws, looking for any holes in the faucet, or checking the washers and screws for signs of damage. If you do need a new faucet, call us at Minyard Plumbing for information about faucet installation. Our service area includes properties located in and around Hickory, North Carolina, and we are fully licensed and insured within the state. 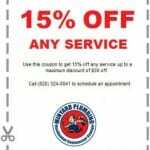 Our owner has been in the plumbing business for more than 35 years, and our company has been family-owned since we opened the doors more than 30 years ago. We offer a full range of plumbing services, including faucet installation. We carry a wide range of products to fit with your own personal style and preferences, and we have faucets that will fit in just about any price range. We also offer emergency plumbing service on weekends, so if you have a sudden issue with your faucet leaking, give us a call. Don’t wait until the weekend is over because by that time, you may have a much bigger problem on your hands. Faucet installation can also be scheduled around your time constraints, and we can update and modernize the look of your kitchen or bathroom with new and elegant fixtures. We can also help match fixtures to complement other metal components in your home. Contact us today in Hickory, NC for more information! At Minyard Plumbing, Inc., we offer high-quality faucet installation services in Hickory, Bethlehem, Conover, Lincolnton, Morganton, Newton, St. Stephens, and Taylorsville, North Carolina.